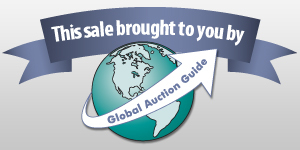 Auction Listings in North Carolina - Auction Auctions - Brown & Thigpen Auctions, LLC. Announcement:Information contained herein is presented on behalf of the seller. Brown & Thigpen Auctions, LLC., agent for the seller, cannot guarantee the information to be correct or assume the liabilities for errors and omissions. All lines drawn on maps are approximate. Buyers should verify the information to their own satisfaction. Any announcements made from the auction block on day of auction will take precedence over any matter of print and will be final. Coca-Cola Fishtail sign painted green 103" x 40"
Atlantic White Flash metal dbl side sign 52" x 36"
7-Up dbl sided metal sign 42" x 35"
S&H Green Stamps metal sign 42" x 35"
Pepsi metal sign 47" x 41"
Tru Ade metal sign 45" x 45"
Tom's metal sign faded 94" x 45"
Mountain Dew metal sign (cut in half) 47" x 84"
Wylie Peanut Co #510 peanut warmer 11" x 18"
Coca-Cola Drink Box Cooler 30" x 34"
Coca-Cola Cooler 36 1/2" x 44"
Mountain Dew sign (some rust) 58" x 34"
Mountain Dew sign 34" x 58"
Coca-Cola Fishtail metal sign 108" x 43"
Quaker State Motor Oil metal sign 94" x 36"
Pepsi metal sign 67" x 35"
White Lake Amusement Ctr Plexiglass 72" x 24"
Chicago Coin's Hunt Club sign 41" x 31"
Dairy Bar sign on board 72" x 18"
Coca-Cola dbl sided metal sign 60" x 36 1/2"
Sealtest aluminum sign 54" x 24"
Sealtest aluminum sign 59 1/2" x 26"
South Onslow Fire District sign 28" x 20"
Superior Courts United metal sign 20" x 24"
Adams Gum wall mount dispensers 16" x 10"